Hooded Wool Shawl - Add an extra layer of warmth to any outfit with our Wool Hooded Shawl. Makes for a wonderful gift to your loved ones or yourself. Made out of a soft and cozy wool fabric with just a touch of lycra for comfort. 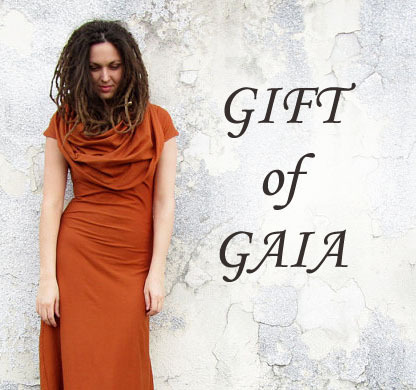 Tulsi Turtleneck Tunic Dress - The top part of this design, which, hits at your empire waist is made with a stretchy hemp/cotton blend fabric. The turtleneck and sleeves are made with this same stretch fabric for an easy comfortable fit. Bottom part of garment is made with knit fabric creating a contrast in texture and tone from top. 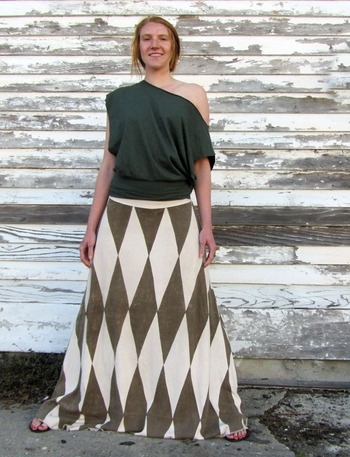 The knit fabric also creates a lovely drape and flow for the fuller body of dress. Shop our Sample Sale this week to get both these items at 25% off. There is only one of each !!! If you find our sample pieces already sold you can purchase these designs custom made at the links above.